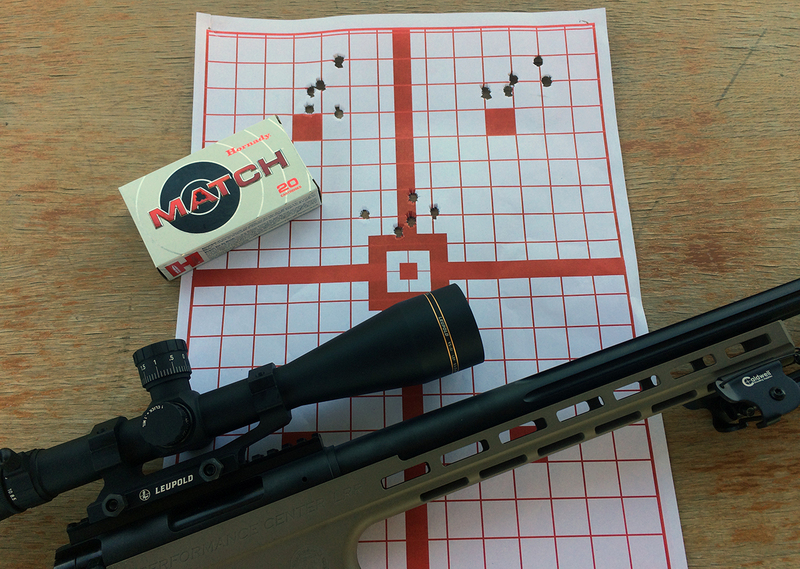 I was ready to rock ‘n roll earlier this month when I made my way to central Texas to try my hand at a 1000-yard target with the new Long-Range Rifle (LRR) from Smith & Wesson’s Performance Center and Thompson/Center. 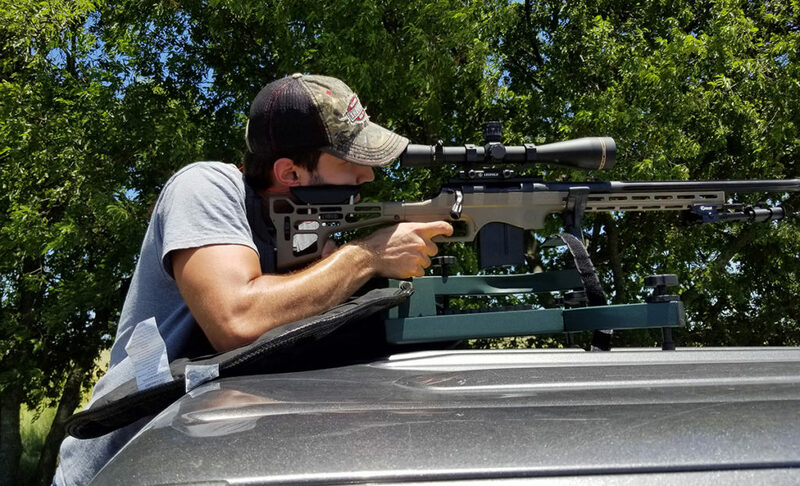 Advances in manufacturing have closed the gap between average consumers and long-range shooting, and out-of-the-box options like the LRR have put 1000+ yard targets within reach. 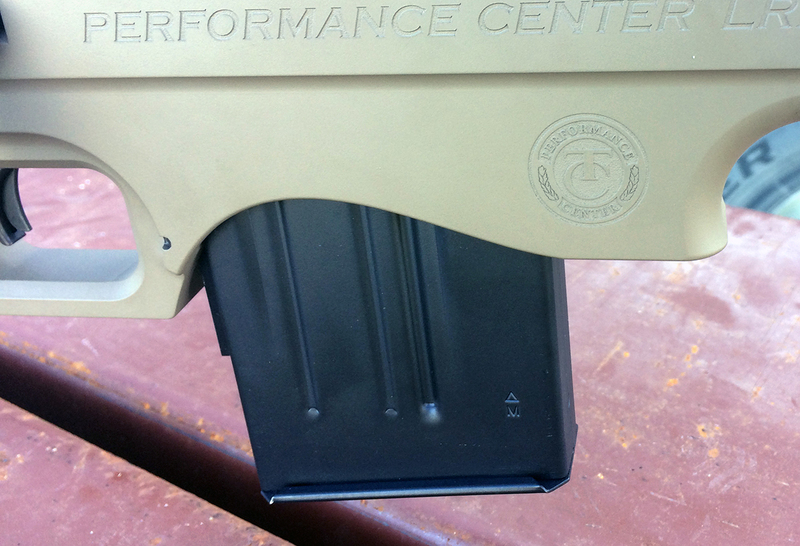 Chassis rifles have become especially popular, and the Performance Center T/C’s new offering is a great choice. Feature-rich and well-made, the LRR promises excellent accuracy and total customizability. I hoped I could pull it out of the box and go the distance even in less-than-ideal long-range shooting conditions — I wasn’t disappointed. Mount a scope and you’re ready to go with the included Caldwell bi-pod. Leupold sent me a VX-3i LRP 8.5-25x50mm along with a set of rings to top the LRR. I would have liked lower rings, but the scope pairs well with the Performance Center’s rifle, and the 25x zoom will pick up anything within the LRR’s range. It isn’t cheap ($950 on the street) but purchasing the LRP gives you a high-quality setup for under $2000. More cost-effective options exist, but the LRR + the LRP is a nice middle-ground between budget and Bobby Axelrod. Before getting sighted in, I took a few minutes to acclimate myself with the rifle’s features. I noticed the skeletonized stock before anything else. It’s constructed from aluminum and features adjustment wheels for comb height and length of pull. 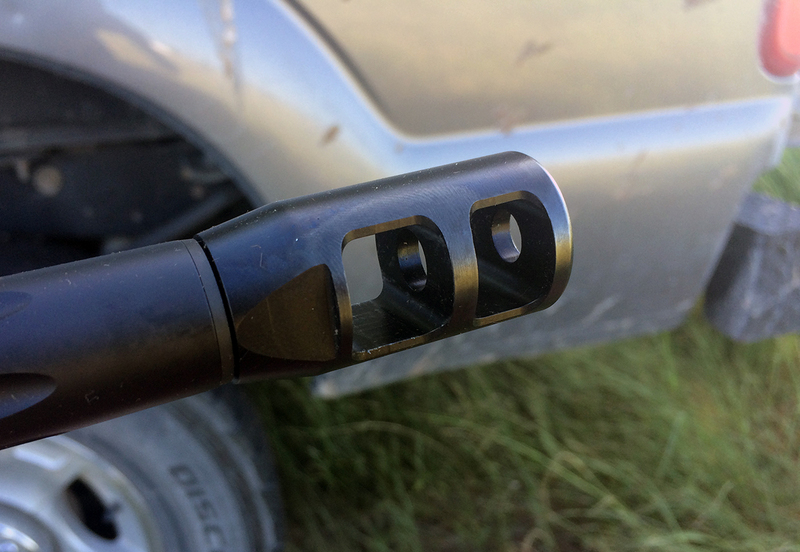 Unlike other adjustment systems, which can loosen or even fail after heavy recoil, the LRR’s system allows the user to tighten each component after adjustments have been made. The stock is well-made and well-designed. All adjustments can be cinched down with the included Allen wrench, though I didn’t find that necessary during testing. Adjusting comb height and length of pull helped me find a stable position behind the rifle, which maximized both comfort and accuracy. The rounded cutout on the inside portion of the stock also provided a comfortable place to put my off hand and pull the rifle into my shoulder. And while the skeletonized nature of the chassis reduces overall weight, the solid, all metal construction helps with recoil control as well. 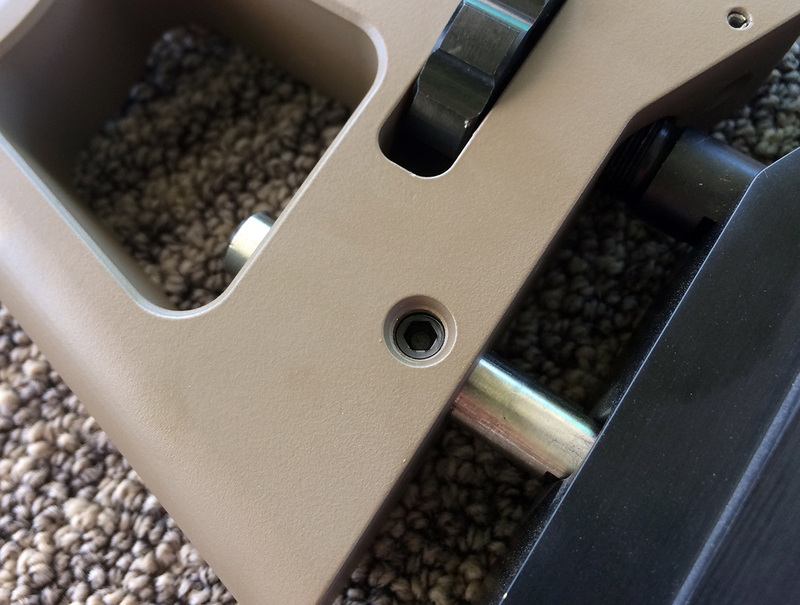 The stock can be removed with the provided Allen wrench, allowing the user to break the rifle down into a smaller package. One thing to note about this feature: the stock will feel loose until you tighten the stud to which it attaches. 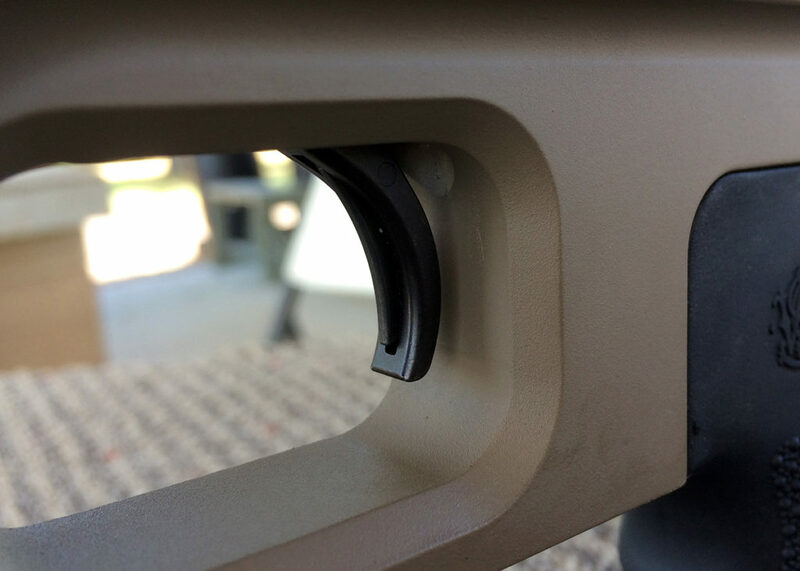 That metal stud can be removed as well, so be sure to cinch it down before you begin shooting. The fluted barrel next caught my attention. 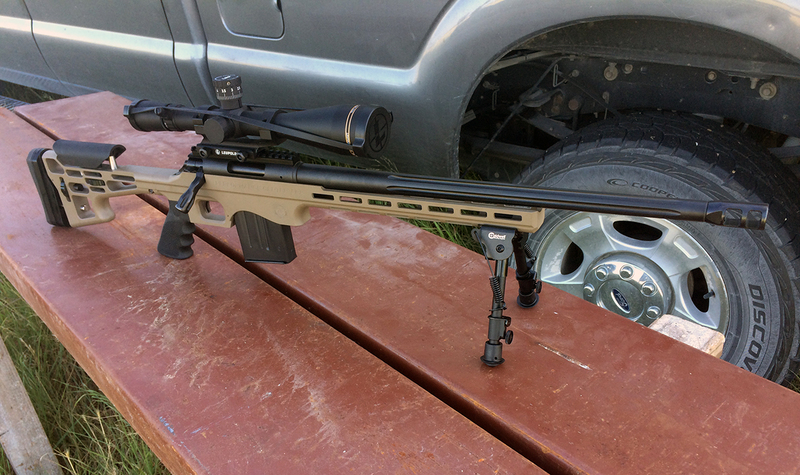 The barrel on the .308 is 20 inches long with a 1/12 twist rate. On the 6.5 Creedmoor, the barrel is 24 inches with a 1/8 twist rate, and on the .243 WIN, the barrel is 26 inches with a 1/10 twist rate. All barrels use 5R rifling, a relatively new rifling method that reduces bullet deformation. Conventionally rifled barrels use 4 or 6 lands that gunsmiths cut to be directly across from one another. This method, while effective and time-tested, squeezes bullet material into the grooves and forms small cuts in the bullet as it travels down the barrel. The lands are also cut at 90-degree angles, which creates depositories for lead and other superheated materials. The barrel uses 5R rifling, which helps reduce bullet deformation and allows for more thorough cleaning. In a 5R rifled barrel, each land is opposite a groove, and the lands themselves are cut at slopes rather than right angles. The former change reduces bullet deformation and allows for more consistent flight. The latter makes the barrel much easier to clean thoroughly, and, all other things being equal, a clean barrel is more consistent than a filthy one. 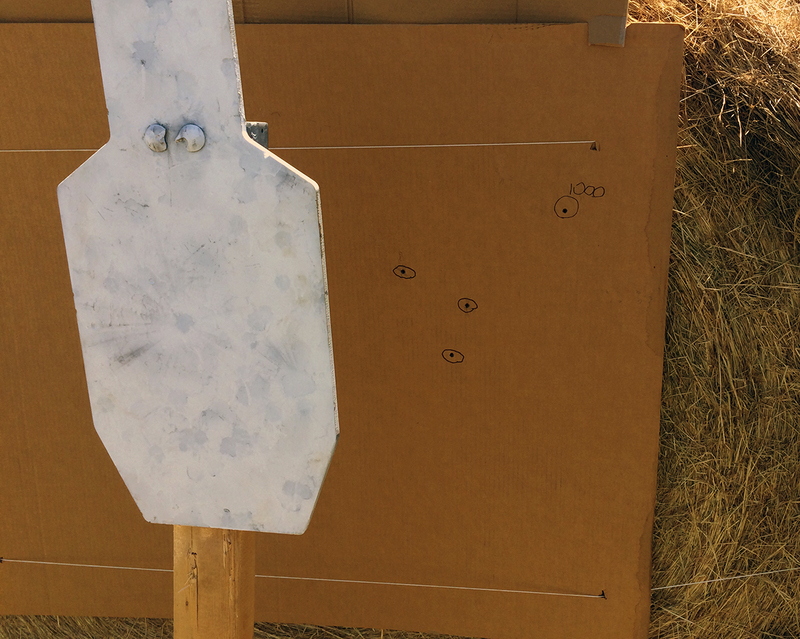 The stock and barrel showed promise, so I was eager to put shots downrange and test the action and trigger. Once I moved beyond 750 yards, I needed a bit more elevation. The oversized bolt handle is easy to manipulate, and the action is smooth. The throw is about 60 degrees, which allows for quick follow-up shots. The bolt features three locking lugs for shot-to-shot consistency and an attractively cut loaded chamber indicator. Removing the bolt would be a simple process if not for the necessity of also removing the stock. The oversized bolt combined with the smooth action makes cycling the LRR quick and easy. The trigger on this model broke like clockwork at 2.7 pounds. The included 10-round mag lets you stay behind the rifle without constantly getting up to reload. Just be careful to let the barrel cool every once in awhile. The brake works well to mitigate recoil and muzzle rise. Shooting the LRR is a pleasure, due largely to the trigger and the beefy, tank-style muzzle device. The single-stage trigger is adjustable between 2.5 and 3.5 pounds, and the break is crisp and consistent. There’s no discernable pre-travel and only the slightest bit of over-travel. The great trigger, combined with the recoil-reducing muzzle device, allow for extended range sessions and a more enjoyable shooting experience. I put hundreds of rounds downrange with the LRR, and it soon became clear that Thompson/Center designed the entire rifle to maximize comfort: from the customizable stock to the trigger to the rubberized pistol grip to the included bipod, each component functions to help the shooter stay behind the rifle as long as it takes to ring steel. My only ergonomic concern, as True Pearce noted in his overview of this rifle from NRA, is the geometry between the grip and the stock. While I found the grip itself to be comfortable, I know some with larger hands may find it a little tight. 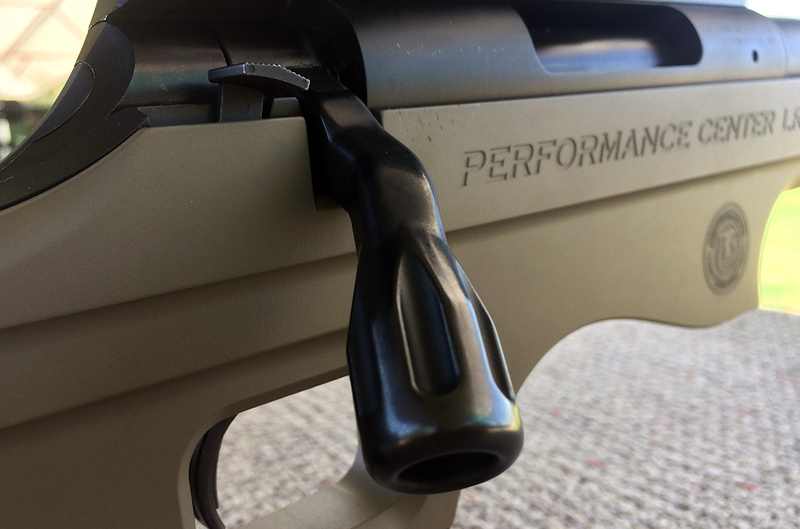 That being the case, many long-range shooters prefer to keep their thumb out alongside the stock, and the LRR’s grip geometry accommodates this method just fine. Accuracy testing was conducted from a concrete bench using a Caldwell Lead Sled. I began by determining which of my four loads would prove to be the most accurate. Thompson/Center guarantees 1 MOA accuracy (1-inch 3-shot groups at 100 yards with premium factory ammunition). This rifle delivered on that promise with 168-grain Sierra MatchKing bullets loaded by Nexus Ammunition. I was disappointed with how the other loads performed, though every rifle, no matter how well-made, will shoot some rounds more accurately than others. Below are the results of my testing from 100 yards. I shot three 5-shot groups with each load, allowing the barrel to cool after each group. Not bad, though a bit underwhelming. I would have liked to see the rifle shoot the 155g ELD more consistently, but the 168g SMK is a good place to start developing a custom load. Tweaking powder type, primers, and overall cartridge length can turn 1-inch groups into ¾ or even ½-inch groups. If you don’t reload your own cartridges, find the bullet that shows the most promise and purchase a few different brands of ammunition that use the same bullet—you’d be surprised how much variation there can be. After determining the most consistent load, I started to range out. Five hundred yards proved less of a challenge than I expected, given the wind and my inexperience with this rifle. 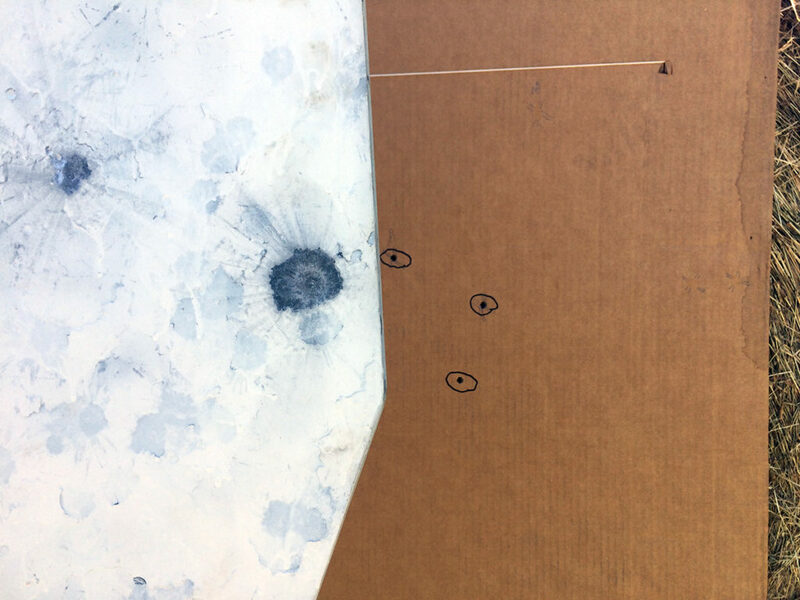 I used a simple ballistics calculator to dial in bullet drop and estimate wind (15-20 MPH from 2 o’clock), and smacked a man-sized target with five successive shots. 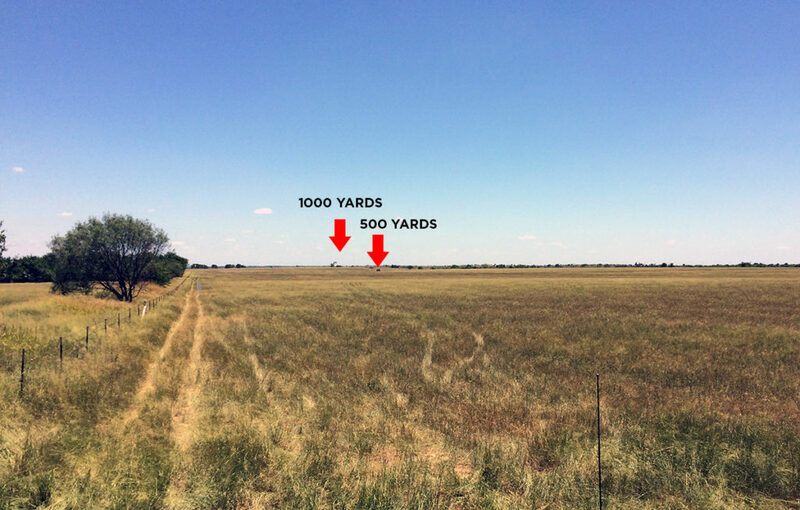 Feeling confident, I ranged out to 750 yards… and once again discovered the importance of an experienced spotter. 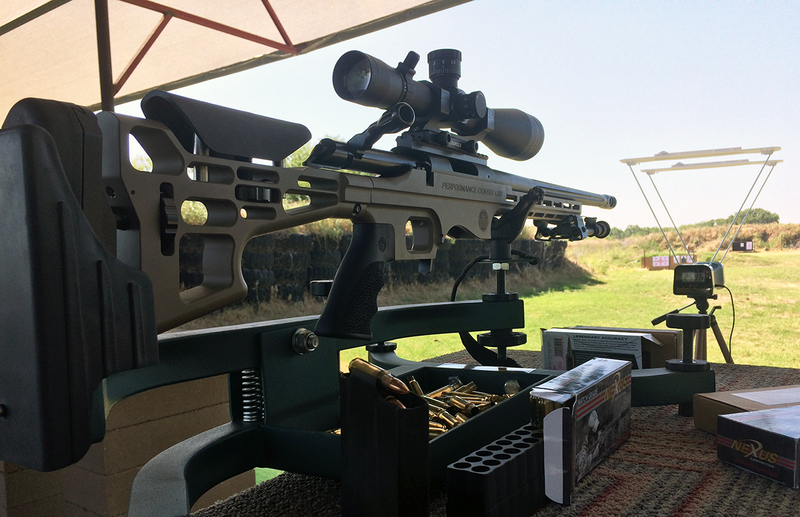 Also, there’s a reason most long-range shooters have moved away from the .308 and towards the flatter-shooting, wind-bucking 6.5 Creedmoor. With a 20 MPH wind coming in from 30 degrees, a 168-grain bullet will drift about 22 inches at 500 yards. At 750 yards that drift more than doubles to 55 inches and at 1000 yards the bullet moves about 108 inches. That’s a lot of variation, especially if the wind isn’t consistent or if it’s gusting at different speeds downrange. Five hundred yards gave me no trouble, even on a windy day. Seven-hundred and fifty yards proved more challenging, but I was happy with the group I was able to record. This is all to say that it took me a few shots to get on target at 750 yards. 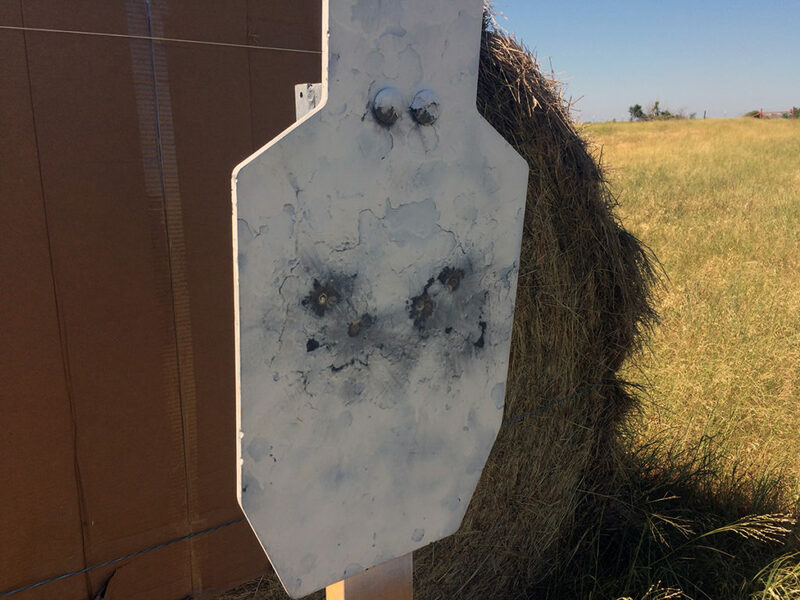 But before I ran out of ammunition, I managed to shoot a decent five-shot group that, with one flyer, measured about 9 inches. Without the flyer, the group shrunk to six. Not bad at all. 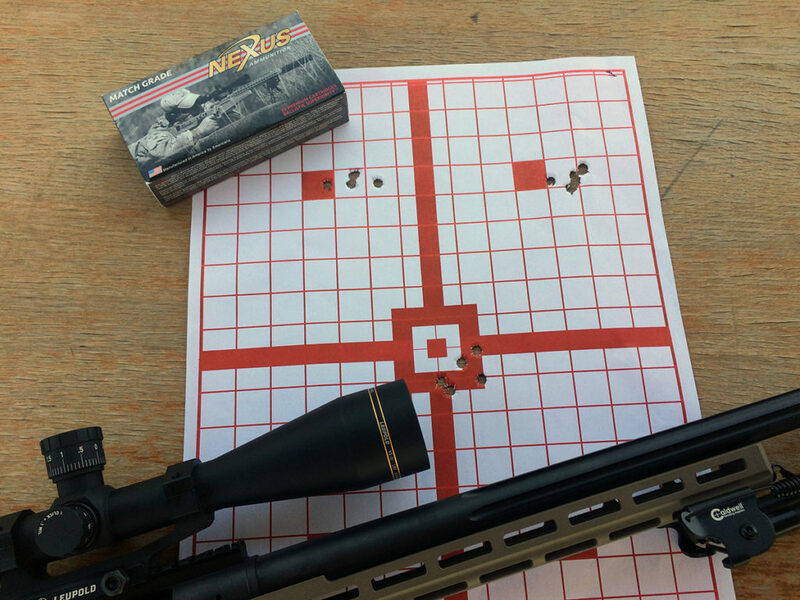 Seven-hundred and fifty yards nearly exhausts the .308’s effective range (depending on bullet weight, barrel length, blah blah), but I wanted to try my hand at a 1,000-yard target. I moved the truck back 250 yards and started putting rounds downrange. The wind had picked up by this point and the grassy field offered nothing in the way of a dust signature. I have more excuses, but the bottom line is that I wasn’t quite able to ring steel before running out of ammunition. I put one round on the hay bale backstop, but that’s as close as I came. I was disappointed in my performance, but not in the rifle’s. 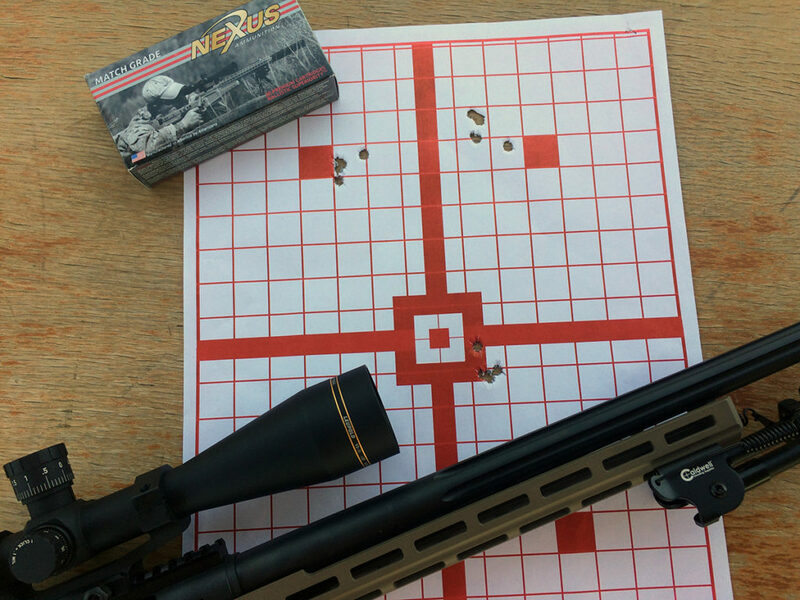 The LRR, combined with quality glass, is more than capable of hitting targets as far away as you can see them. Plus, it’s a fun, comfortable gun to shoot. 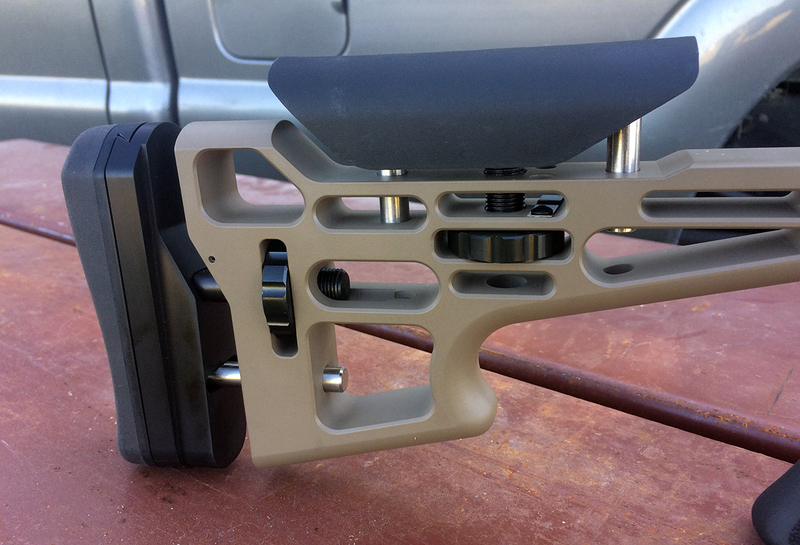 The stock allows for complete customization, and the trigger helps maximize accuracy. The muzzle device and chassis system also mitigate recoil to the point that I was able to see bullet impact (when it wasn’t hidden by the grass). For less than $1000 in the marketplace, the LRR continues the proliferation of budget-friendly, out-of-the-box, long-range rifle options. While it may not be the first show in town, I say the more the merrier.